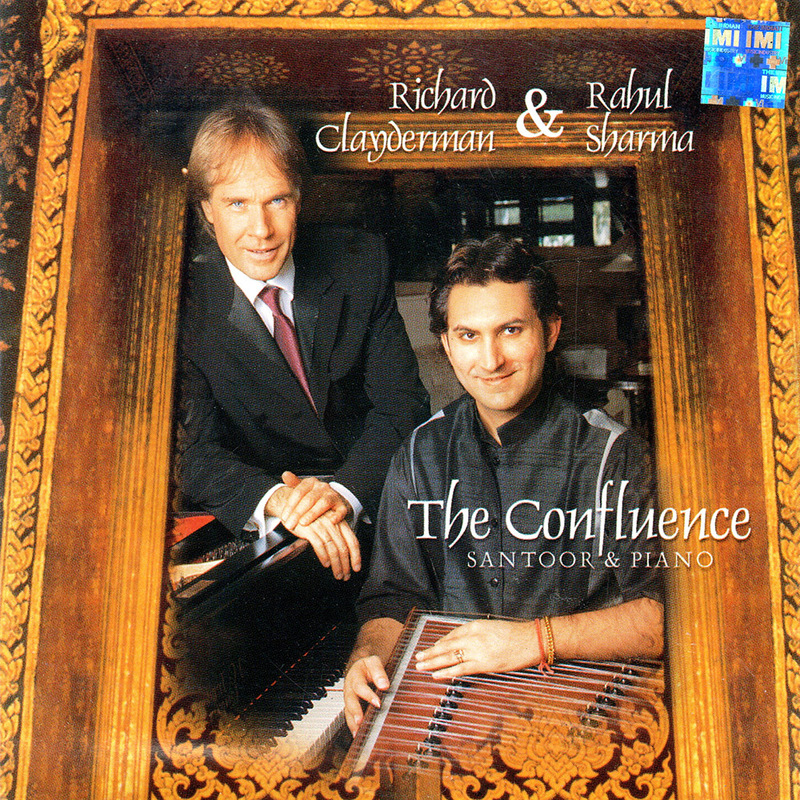 ‘The Confluence‘ is a best selling studio album featuring Richard Clayderman (Piano) and Rahul Sharma (Santoor) performing mostly Indian titles, six of which were composed by Rahul Sharma himself. Although mainly sold in India, the album is available to download via the links above. ‘Together‘, ‘Blues Heaven‘, ‘Norwegian Wood‘ and ‘Tere Ghar Ke Saamn‘. Having visited India for the first time two years ago, I expressed that I would be very interested in recording Indian msuic. My firnds approached me with the idea to do a duet with Rahul Sharma. And I said ‘Why not!’. I had no idea what a santoor was; I didn’t even know what it looked like! As I wasnt familiar with the instrument, I decided, together with my producer, that Rahul should produce the album.